By all means have a referendum, however discount a remain option from the ballot paper as that was discounted in 2016 and the leave result hasn't yet been honoured. The referendum should pertain to the terms of any future exit plan. All we have here is mob rule, and mob rule will never replace elections or a referendum. That is why they are seeking a referendum. It is the only democratic way to avoid a catastrophe. We have had a referendum, they don't like the result. It can't be honoured. 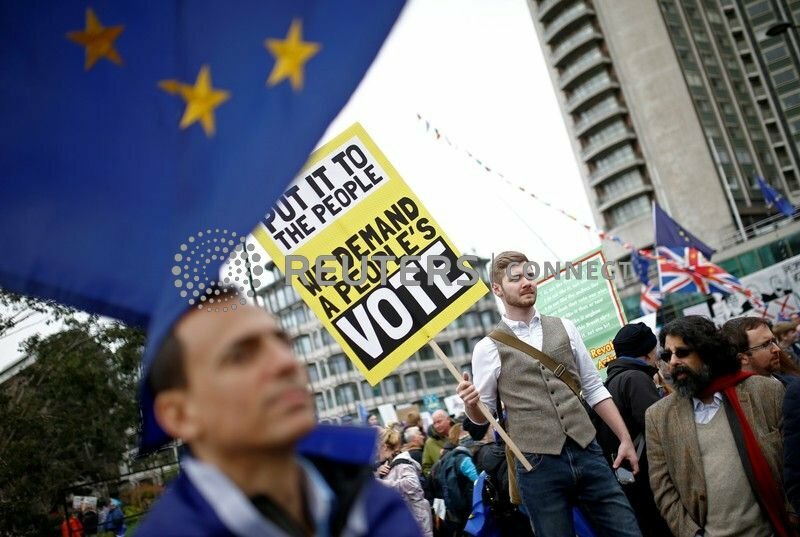 The promises of the Brexit campaign of an orderly, agreed exit that was beneficial to the UK has proved impossible to deliver. The various fractions in parliament and the EU are at a complete impasse. Let the people sort it out for them, as it was the people who got us into this mess in the first place. Have a referendum to tell the government how to sort this mess out. A flawed opinion poll that was only set up to stop the Tory party from imploding. That went well didn't it? No deal is the best option. As long as the UK and EU are negotiating a free trade agreement under WTO rules they can keep trading at zero tariffs for 10 years until they sort out the details. It’s clear that Germany doesn’t want a complete break, so after no-deal, they would push for a new trade agreement as quickly as possible. Leaving on WTO terms on 29 March is the only honourable way out for Theresa May. And Britain will be in a better position to navigate its own future. Absolutely the best option if you want to see the economy crash, large scale unemployment and many small businesses go to the wall. However in which direction Brexit goes …, I think it will be for 5 or even 10 years leaving influences in the politic division in "United(?) Kingdom"
Coming from the Hard Brexiteers who are threatening mob rule if they don't get their way. Ah that old chestnut "a flawed opinion poll" would it have been flawed should the result have gone the way of the remainers. You are perfectly entitled to argue in favour of no-deal. What you and the other Hard Brexiteers are not entitled to do is to say that no-deal is the only option for Brexit. Threatening and actually doing it are two different things.